On May 10, Disney announced that their popular toys-to-life video game Disney Infinity would be shutting down. We reported it; we mourned it. We held out hope that the game would still be playable. And on Friday, Disney finally laid out the long-term strategy for the weaning players off of support. The good news is that yes, of course, the game will remain playable as long as your console is. And that’s the nature of any game at this point; some get revived and remastered years later, and some just fade away. But as long as there is a playable console for it, you can enjoy the main content. However, you have until September 30, 2016 to share “toy boxes,” the terrains and environments that fans could modify for themselves and share with the larger Infinity community. It’s the element that made Disney Infinity unique among the toys-to-life games, though now I wouldn’t be surprised to see Warner Brothers Interactive develop some variation of it for Lego Dimensions. The interesting thing here is that after September 30, you would not be able to upload toy boxes, but for platform gamers, the community content will still be available for download until March 3, 2017. We can assume that September 30 is the end date for support; there simply won’t be any members of the Disney Infinity Community Team to review submissions after that. Upshot: you will still be able to enjoy the play sets and your own toy boxes at home. The email that went out to users on Friday also asks that people check the Disney Infinity website for updates before March 3, in case anything changes. I’m still holding out hope that Disney will find a way to license out Infinity for support and further development. I’m not holding my breath, but as there have been revealed plans for a 4.0 and even further figures in 3.0, it would be nice. No, we won’t see the set for Moana, which was planned. 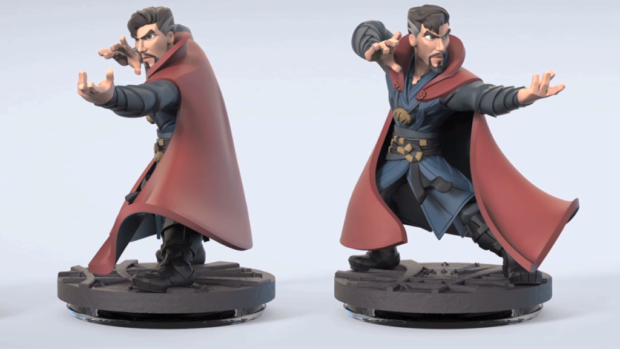 No, we won’t see the Doctor Strange figure, which was planned. 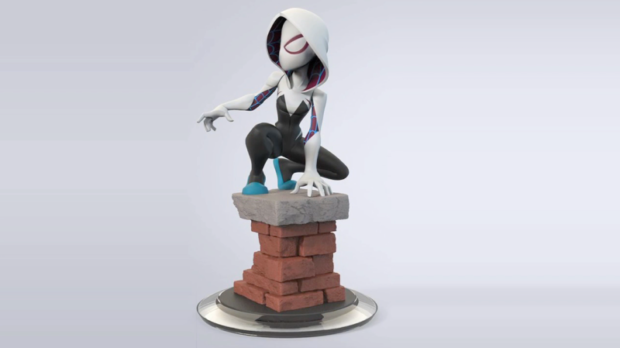 No, we won’t see Spider-Gwen… like, holy crap, come on, Disney… LET SOMEBODY ELSE PICK THIS UP!!! Although, really, I guess the REAL plea should be COME ON, SOMEBODY ELSE, ASK DISNEY IF YOU CAN CONTINUE THIS!!!! !